Here's an excerpt from a blogpost published by our researchers, Amy Mowl and Ben Sprungkeyser on ACCION's Centre for Financial Inclusion blog featuring their work on informal finance in Chennai. 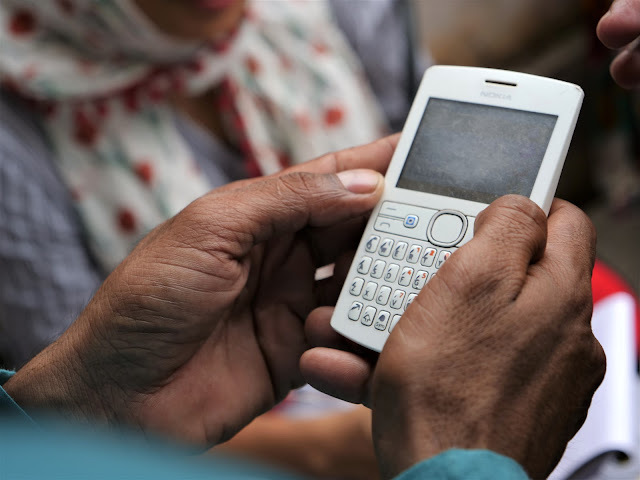 There is revived interest in the role of informal credit in India, with researchers using a variety of innovative tools to study informal products and their delivery channels. While the majority of informal loans may come from professional moneylenders, such lenders are not the only source of informal credit for micro and small entrepreneurs. Indeed, for households, non-bank credit is provided by a wide range of players, including moneylenders, unregulated pawn brokers and chit funds, employers and local shopkeepers, and caste and kin networks. Interested in the range of alternative informal credit options available to businesses, we decided to take a fresh look at informal credit products in a major wholesale fruit and vegetable market in Chennai. The result: we found a market for alternative finance that revolved around merchants associations and the provision of common credit. Amongst the collective loan products we examined, those offered by the Tomato Wholesaler Welfare Association (“tomato association”) and the Banana Merchant Welfare Association (“banana association”) were most notable. Like most voluntary trade associations in India, both associations function to protect and advance the common business interests of the members, share information, provide mutual assistance, and distribute gifts during festivals and ceremonies. In addition to these basic functions, we found that the associations had credit and savings features, with mixed results. In the case of the tomato association, the individual wholesalers had devised an intricate mechanism for the collective pooling of resources amongst 50 members. All wholesalers who wish to join are required to pay a 10,000 rupee deposit and contribute an additional 50 rupees a day in membership fees. This financial arrangement lasts for five years, and so members are not permitted to withdraw their contributions before that time lapses. Instead, wholesalers in need of funds may borrow from the group at a rate of three percent per month. The tomato association deducts a small amount of interest income for operating costs and divides the interest income equally among individual members. One wholesaler explained that he had accumulated more than Rs. 200,000 in interest over the course of the last four years. The banana association comprises 120 members who pay an annual membership fee of Rs. 1200. For a time, the banana association provided loans to its members at a rate of 2 percent per month.¹ This was initially designed as a system of mutual assistance. However, the banana association members we spoke to claimed that some members took advantage of the system. Realizing that the association would be reluctant to use the harsh enforcement tactics of professional moneylenders, some borrowers slipped into loan delinquency and default. Rather than continue to lose money, the merchants association stopped lending to all its members. In addition, the banana association belongs to a larger association with flower and vegetable merchants. This larger association of 450 retailers previously provided assistance for members to receive formal bank loans. The association helped arrange documentation including tax returns, attested to the creditworthiness of borrowers, and helped confirm that borrowers had no outstanding credit obligations. In order to maintain credibility, the association was serious about only endorsing legitimate candidates. This process, however, created antagonism amongst the members. Merchants with poor credit histories began to approach the association demanding assistance. They felt that the selective provision of loan assistance was unfair. Rather than risk internal division and discord amongst members, the association simply stopped helping members receive loans.